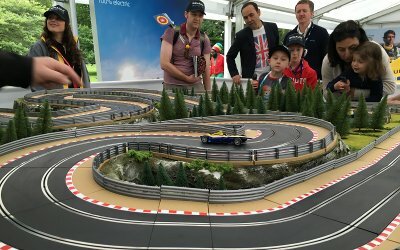 Our 2 Lane Large Scalextric race track has exciting twists, turns and nerve-racking overtaking points, and is fantastic for a variety of events from Conferences, Car Showroom Promotions, Product Promotions, Charity Race Nights, Product Launches, Expo Stands, Trade Shows, Team Building Events, School Fetes and even Weddings. 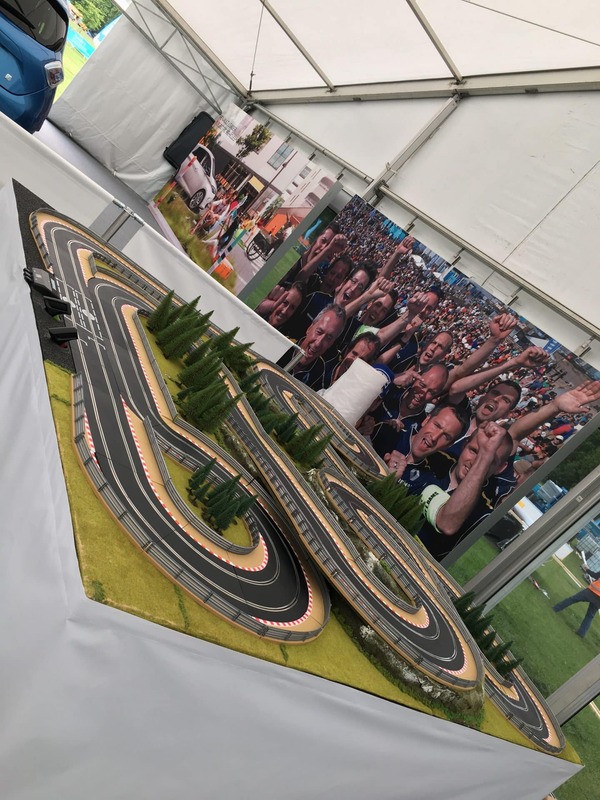 With the track layout we use, we can change the dynamics of your race to suit your individual event. 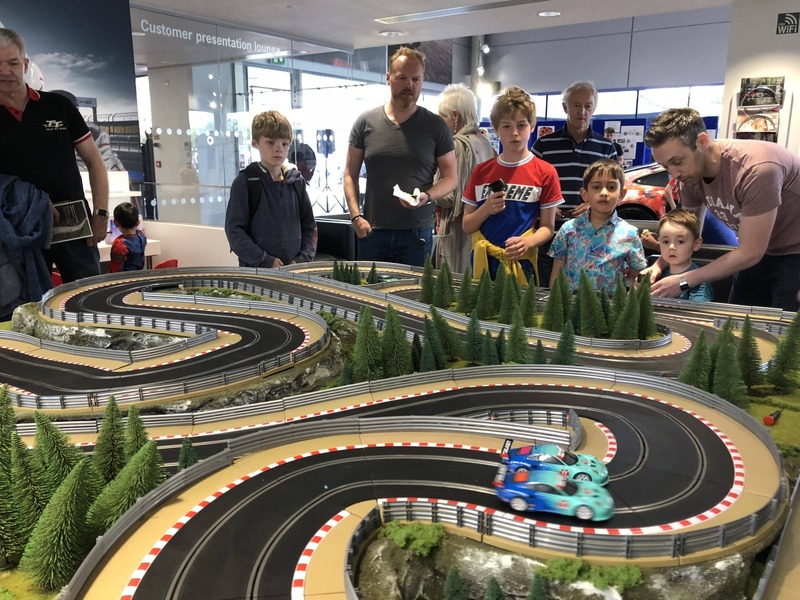 Whether you’re looking for a quick few laps around the circuit or a more complex endurance race or team challenge, we can set up your races to make things very competitive. 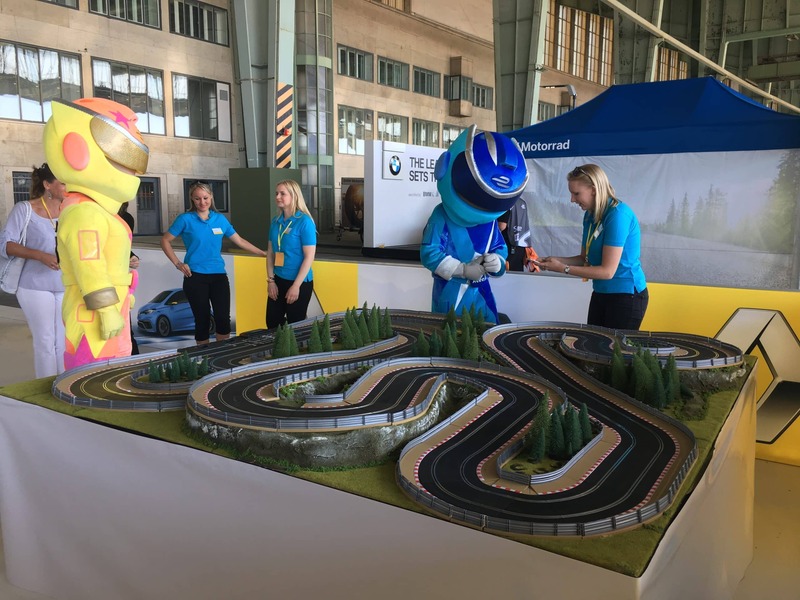 We offer a selection of cars that can work with a variety of themed events. For example, a James Bond theme night wouldn’t be so without some Aston Martins. 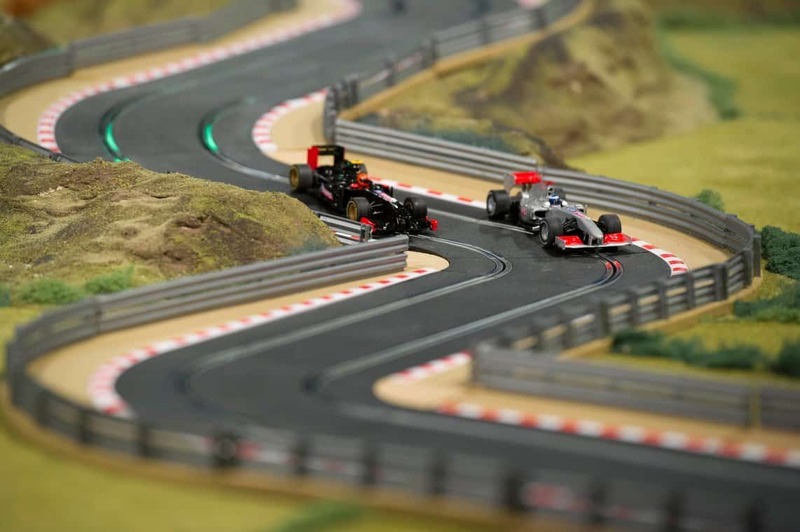 If you are promoting a particular car at your showroom we can match the race cars to your brand. 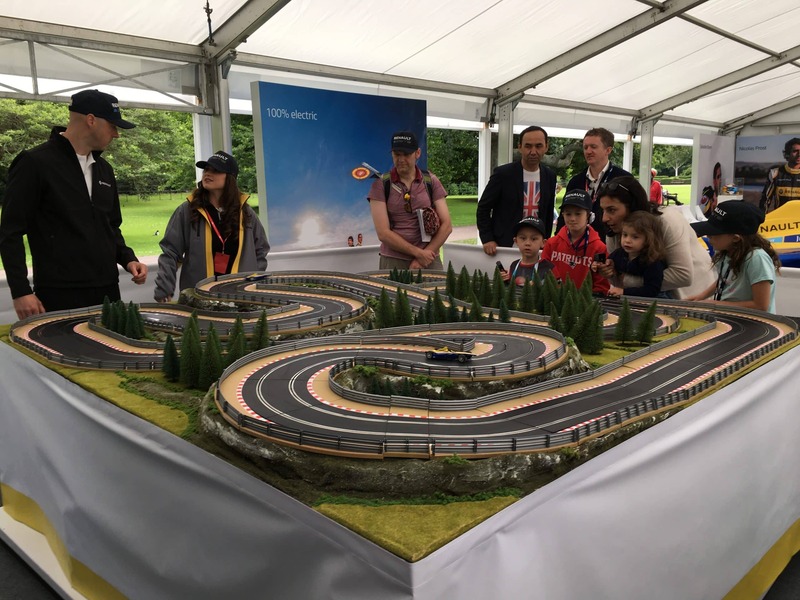 Our track has been cleverly designed as we always want to provide you with the best entertainment. 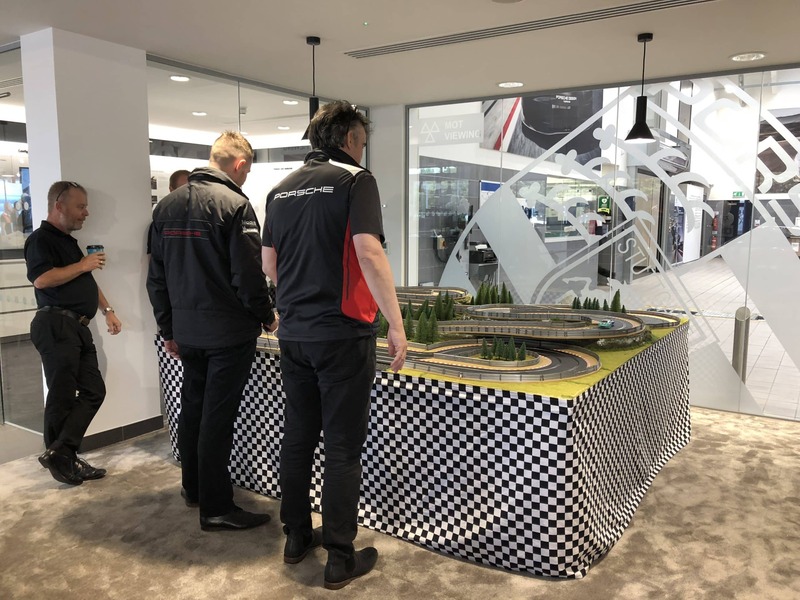 The track can incorporate your company branding in various places on the circuit, making it perfect for Product Launches, Team Building and Corporate Events and Promotional Events in car showrooms.